1. How long have you been working at Krispies? I have now been working at Krispies for just over a year. 2. How has your role progressed or changed since you started at Krispies? Since the start to now, my role has changed in many ways. At the start I was on the shop floor maintaining high standards at all times including customer service. At present I still am very much hands on downstairs, always making sure that the standards and quality, which allowed us to win the Best Fish and Chip Shop of the year award, are met every day when we open the doors to the public. On top of this, I now do a lot more of the day-to-day running of the business, away from the frying. 3. What's your overall experience been like working in the fish and chip industry and with Krispies? The last year has been great winning the Best Fish and Chip Shop of the year award and Staff Training and Development awards. It has been a very busy year for us but the experience has been a fantastic one. The fish and chip industry is something I truly love. In my opinion the fish and chip industry is very unique. I have received a lot of advice over the years and many people are not shy to help and advise you following their own success. 4. What have you learnt during your career with Krispies so far? From when I started out running Krispies to now, I have learnt so much. Academically I haven’t needed to learn anymore but in terms of life skills I have learnt a great deal. When you have nearly 25 employees, you need to learn very quickly how to manage different personalities as no two people are the same. With the help and guidance from Tim and Kelly, I was quickly able to work with the whole team to find their strengths and weaknesses and build a team that are collectively very strong. If you can get your staff to invest in your vision of where the company should be, then anything is possible with them on your side. 5. What career opportunities are there for staff at Krispies? Krispies has many career opportunities. We currently work in partnership with Exeter college and we also have in-house training to help staff progress within the business and the industry. At Exeter college we currently run a CMI course which is based on management, starting from level 3 through to a level 7 Bachelor’s Degree. We also offer a hospitality course which starts at a level 2 through to a level 4. We had to work hard with this course as it wasn’t made with the fish and chip industry in mind, but after many meetings we managed to get the course adapted so that our staff had the opportunity to complete it. In terms of in-house training myself Tim and Kelly set out to train all the staff to the highest standards. We do not hold back and give all our knowledge to the staff so they can do as well as they desire in the fish and chip industry. With an exciting future ahead for Krispies, there is no end to potential progression within the company for staff. Staff morale in my opinion is the key to success. Staff are the engine for any business. Good staff morale will shine though in the service and the product. Staff morale and happiness shines though to the customers. I work hard at making sure the staff are happy on a day-to-day basis, by listening to them and treating them well. If you look after your staff, they will look after you. 7. How do you feel about Krispies winning the Staff Training and Development award? When the opportunity came to enter the Staff Training and Development award category, it was something that I hoped I could do. As a business we offer so much to the staff that I wanted to see if all this was worthy of the award and if not, what more could I do to hopefully achieve this at some point in my career. I am also always pushing the staff to be the best they can and if we did win the award, the staff would see how much we cared about their futures. After we won the award I was ecstatic! For me personally it was a massive moment. When anyone sets out to develop staff to the highest level and to offer them the same opportunities as you were given, you feel like you don’t want to let them down. To win the award and realise you’re doing it right made me feel very happy. 8. What else are you hoping to achieve whilst working at Krispies in the future? Over the next few years with Krispies I hope to achieve more awards within the industry and outside the industry. After winning the Best Fish and Chip Shop in the UK award I see it as the start to many. To continue to strive to be the best and push on from such an amazing award. The future for Krispies as a business is bright and by working with our apprentices, watching them grow and graduate with a hard-working attitude and dedication to the business, will only help the company grow. 9. How do you feel about your upcoming trip to Japan representing Krispies in October? I was over the moon when I was given the opportunity to go to Japan and represent Krispies. I very much enjoy my role as a manager at Krispies but I also love frying the best quality fish and chips. Whenever I fry at Krispies I want the staff to see that I am a very good fryer and someone they want to learn from. Going to Japan is an honour and also gives me the opportunity to be where I want to be on the frying side of my job. I have been told how hard it is and how busy it will be, but the opportunity to show my skills to others in the industry and to represent a company I love, is massive. I am very thankful to Tim and Kelly for this. 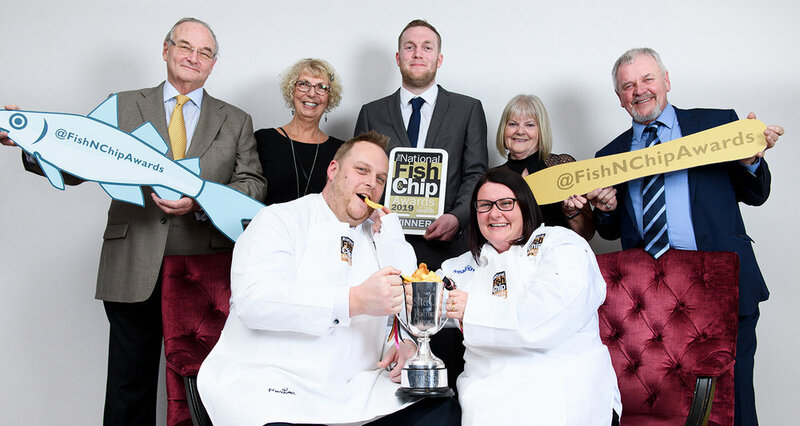 We won the National Fish and Chip awards 2019!